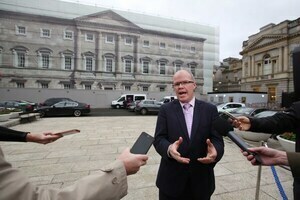 Pro Life TD Peadar Tóibín who left Sinn Féin earlier this month, has told RTÉ Radio One’s ‘Today with Sean O’Rourke’ show he is setting up a new political party. Posted in Misc and tagged Peadar Tóibín, Sinn Fein at 11:05 am on November 29, 2018 by Bodger. I’ve often wondered why everyone,including the minister in charge of education,insists on calling the Leaving Certificate the Leaving Cert. Is it laziness or stupidity ? I was actually at Peadar’s meeting in Tralee last night. He spoke very well, the only downside was that quite a few fruitcakes were in the room. Those who’d regard barrier contraception as comparable to abortion. Some in the audience were suggesting party names, most of which included ‘Christian’, but Peadar didn’t seem keen on that route at all. Religion was not something he was focusing on. Not getting the desired demographic. what other demographic is he expecting. 33% of the population may have voted no, but if you make abortion the main policy platform for your party you’re going to get the extremist fruitcakes tagging along. 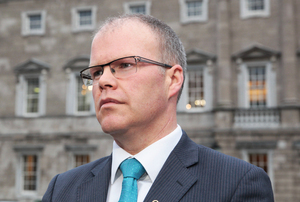 It didn’t prove to be a huge vote-winner for Renua, why does he think it will be different for him. He’s well intentioned but he’d be better off just running as an independent on his own credentials.